We Have Something to Say: JUST WRITE! This was the most amazing week of celebration at Georgetown Elementary School. 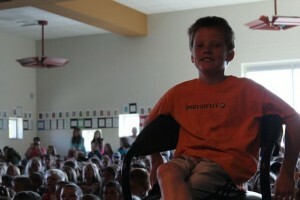 We honored 650 writers — students in K-5 and teachers. 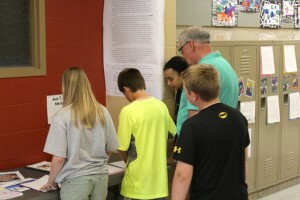 Their writing was displayed throughout the building on lockers, classroom doors, tables, shelves and walls. 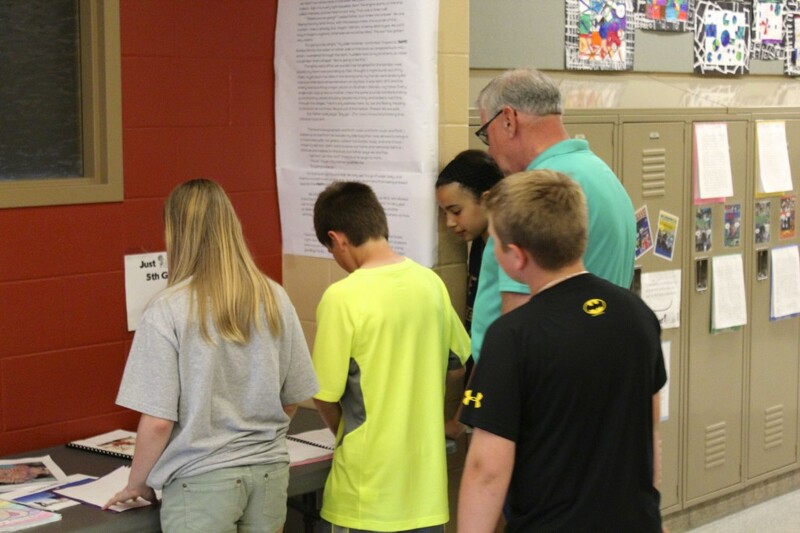 And, for those of you who honored us by attending the open houses, I know you were impressed by their ability to write stories that carried the reader’s attention from beginning to end. We end the week of open houses with JUST WRITE SKIT performances — teacher performed acts of one writing piece from each grade. The photos at the end of the slide show below highlight the seven student writers and the teachers that performed their pieces. 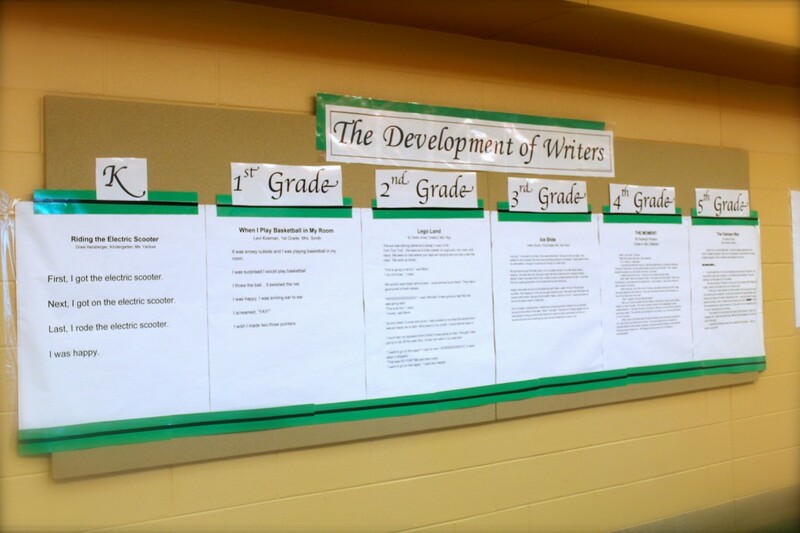 Perhaps one of the most important displays demonstrates the progress our students make as writers with strong writing instruction each year that they are in school. 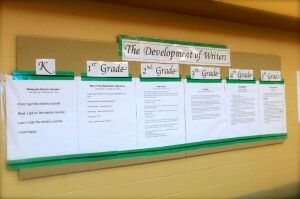 The writing they produce in fifth grade is a result of years of work on the writer’s part and as a result of excellent instruction by the teachers. 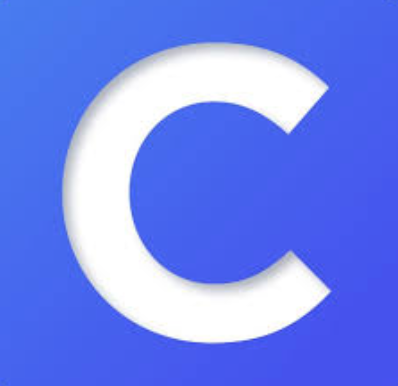 And, I would like to place a *bragging disclaimer for the following: Georgetown teachers are committed educators who work closely together to scope and sequence instruction for all students with a focus on high expectations. Because of their expert instruction, the students are able to demonstrate their thinking through writing — an essential skill for work place success. As the incredibly fortunate instructional leader of Georgetown Elementary, I am proud of both the students and the teachers. Thank you so much for attending our celebration. 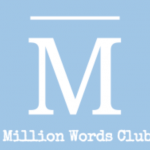 We look forward to hosting you in 2015 with equally magnificent pieces of writing! We have something to say….JUST WRITE! 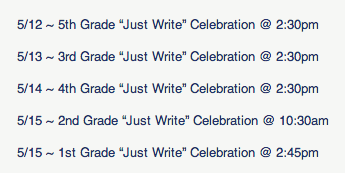 We have one of our most important celebratory weeks ahead: JUST WRITE: A CELEBRATION OF OUR WRITERS K-5. Once you enter Georgetown on Monday morning, you will see student writing everywhere — on the walls (poster size stories), lockers (8×11 student stories) and books displayed on tables. We’re looking forward to sharing our work with you throughout the week. We know many of you will take photos of your writers and post them for families and friends to see. When doing so, please use the hashtag: #justwrite so we can collect the photos into a stream for our blog! Use this hashtag for facebook, instagram and twitter. If you are on twitter, add the photos with @georgetownelem #justwrite which will direct it to our school twitter account. We have many other events occurring this week listed below. Remember to check your child’s class blog as well. Finally, I want to extend a warm wish to all the Georgetown mothers. For the past 100 years, Mother’s Day has been a day to recognize the special bond between mother and child. 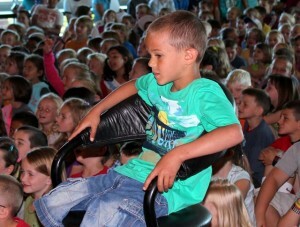 This special bond is like no other and has such a powerful impact on the health, welfare and education of your child. I hope each of you is able to find time to reflect on your bond with your own mothers and your children….and I also hope you have a moment or two to put your feet up and relax! 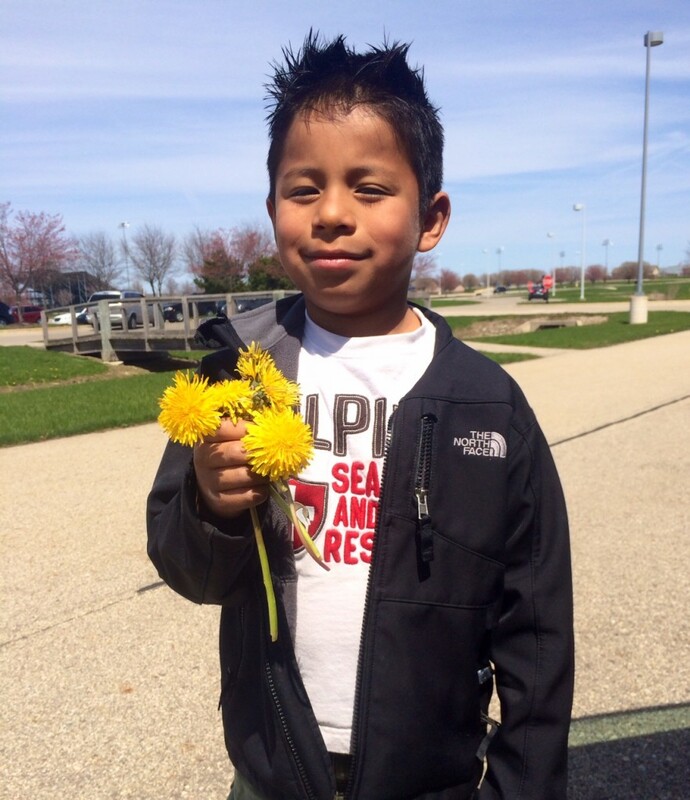 Will it feel like SPRING this week? I hope so! And, even if it doesn’t, we keep moving along with our spring like events at Georgetown. Some signs of spring that can be spotted on our school calendar: Teacher Appreciation Week (always a spring event sponsored by PTC) and Field Trips (always listed in green). Our school is also starting to look very spring like with LOST & FOUND items filled with spring jackets and baseball caps rather than boots, mittens and winter jackets. If you look closely at the lockers and walls, you will also see student writing start to appear in preparation for our Annual Just Write Celebration (May 12-16). Just Write is a celebration of all the writing our students have done this school year. It will be a time that parents, friends, grandparents and other special people in your lives can tour the building to read pieces of writing on display by every single writer in the building. The tour schedule is below and more information will also be on your child’s class blog. Have a wonderful weekend…and a great week! Thank you to everyone who visited our wonderful school to meet our incredible writers last week. We ended our week of writing celebrations by selecting six stories (one from each grade) for our Georgetown Actors Guild. 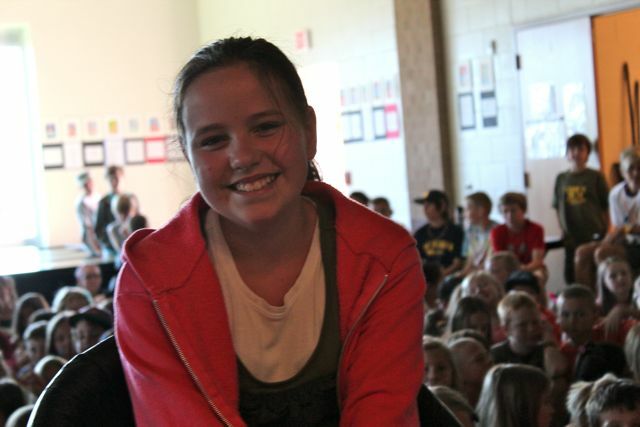 Each group of actors performed the story for the author and the student body. Some of the stories involved a teensy bit of improv and really creative costumes. You can read the original pieces of writing here: JUST WRITE SKIT Stories. The slide show below highlights each author and the actors who performed! Remember, if you have something to say, JUST WRITE! We are going to the Griffins hockey. We are going to our seats. I watched the hockey game. Griffins won 2 to 6. This story is dedicated to my brother because I love when he tells me to do new stuff. On a warm sunny day in summer my brother dared me to jump off the deck in my backyard. I said, “uh-oh”. I was scared. I was really scared. I love when my brother told me to jump in the pool then…I finally jumped off. SPLASH! I jumped into the pool. I had a big smile on my face. I was so happy. I love when my brother told me to jump into the pool. “ I did it, I did it” I screamed. I was so happy. My whole family was proud. I was so so so happy. I love when my brother told me to jump into the pool. My name is Kaycie. I am in first grade. My first story was written when I was four years old. I was born in 2005. My favorite color is blue. My family is my brother, mom, and dad. We were in Chicago. We were going to Medieval Times. We were there and there were shields on the wall. We were in line to get a crown and to get inside the castle. I wanted a blank crown and we got it! 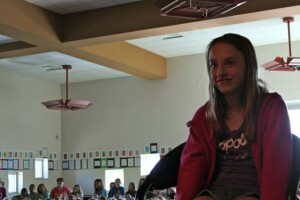 I was with my mom, dad, Nora, Ella, Jackson, Alley, Jackson’s mom, and dad. That was the people who went. We were finely in the castle, but not in the arena yet. My dad was getting me a black Medieval Times cup (we already have a gold one.) They were selling real metal swords for $200!!! We were finely in the arena and they serve each person a whole chicken! They also serve huge french fries, tomato soup, bread, dessert rolls, and pop! There were handles on the soup bowls and no silverware! They did full metal jousting! It was awesome. We were the black and white knight. We were also voting for the red knight and the black and yellow knight. The knights we weren’t voting for were the green knight, red and yellow, and the blue knight. We didn’t like them. They also had a sword fight with real metal swords that make sparks! When the knight jousted they had to put nets down because pieces of long wooden spears fly everywhere. At the end they pulled the bad guy back and there was a guy with a huge wip and it was to frighten the bad guy and it was like CRACK! The end. “Creeeeeeeeeek” the door grumbled as I enthusiastically opened it. It was a big crisp one and as brown as a steaming hot bowl of oatmeal. I inched into the room opened my backpack and jerked out my black tennis shoes. I tied them anxiously to be done (because I hate tying my shoes) and I talked to my teacher Miss Stephanie. “I have something for you,” I stated looking everywhere in my backpack. I couldn’t find it anywhere. “Oh no!” I thought. “I’ll bring it next week. 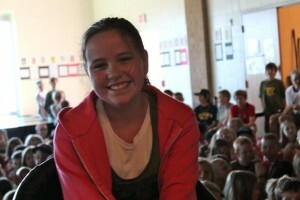 It is instructions to see me at the talent show,” I said excitedly. Then I walked onto the dance floor and found my spot. “Okay let’s do it with the music,” yelled Miss Stephanie. I waited at the side of the room while Mindy was doing her fast part. All of us joined in to the dance. I got really tired especially because it was Hip-Hop. When class was over I had a break. 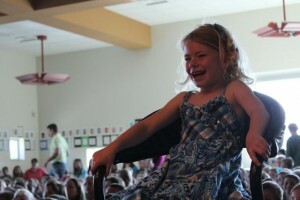 I talked to my friends: Hadley, MaKenna, and Julieanna. This is what we always did. After our forty-five minute break, class started. I tugged out my jazz shoes from my dance bag and put them on. “Let’s learn our combination,” Miss Diane suggested when everyone was ready for Lyrical. “One and…two…and…three…and…four, five, six, seven, eight,” Miss Diane said as she modeled some dance moves. “Now you try,” ordered Miss Diane. We all did as we were told and did the dance. Miss Diane stood in front and did the dance with us. I didn’t get it right away. “Questions,” asked Miss Diane. I raised my hand nice and high on my tippy toes. “Will we do it across the floor?” I asked. She nodded. We did it across the floor. After practicing about four times, right side…left side…right side…left side…class was over. I quickly walked to the lobby, slid off my shoes, and put them in my bag. I grabbed my outside shoes and put them on. I couldn’t wait to get home to read. I hope that I remember to bring my instructions to Miss Stephanie next week. As I walked around the United Center, I desperately looked for a way to get in. As I saw all the people handing in their tickets to get in the arena, I saw my opportunity….. I needed to get in the Chicago Bulls game. There’s a little hole, but the security guards are everywhere. What am I going to do? I see the back door, so I hurried to it.As I opened the back door I saw the biggest court ever. Fan’s were screaming everywhere. “The game is about to start,” I said as I walked around. There’s my chance I yelled. The security guard spotted me and yelled to the guard “ STOP THAT KID.” I started running into the tunnel of the locker room. “Phew, I got away, and then all of a sudden another guard came from inside the locker room and grabbed me. I thought to myself the security guards must of called it out on the walkies. So, the security guards are taking me to the security office. As the two guards are walking me down the hallway, I think of plan B. Sneakily, I kicked on of the security guards in the knee. The guard begins to fall and swings a punch at Cam and hits the other guard in the gut. I ran to a bench and flip it over to hide for cover. Both guards start fighting each other, the media, and the fans all come running down the hall to see what all the commotion is all about. Other security guards arrived at the scene for back up support and became a part of the fight. It was complete madness watching from behind the bench everyone punching and kicking one another. made my next move. With all the fighting still going on I know I could easily sneak back to the locker room. I scurried down the hallway past the fight and into the locker room! Completely relieved, “I made it in!” Now to find Michael Jordan. I heard loud voices and followed the sound in the locker room. The Bulls players are here and I see Michael Jordan. I walk up to him slowly like I was in a trance. I opened my mouth, trying to spit the words out to talk to him. After a few seconds, I finally was able to ask him for his autograph. Michael Jordan said sure I will give you my autograph after the game. He sees I don’t have a pass, and it was time for the players to go back to the game. I was walking out of the locker room with the team, and the security guards spotted me! They say, “Get Him!” Running towards Cam. Michael Jordan yells stop, and says,” It is okay he is with me.” The guards backed off and walked away. I was thrilled to be able to watch the rest of the game court side. The Bulls won the game 102 to 92. Michael Jordan saw me jumping up and down court side, and came over to me with the game ball. Then he had the entire team sign the ball. I was in utter amazement and so very happy!!!!!!!!!! I thought to myself that everything I went through today was so worth it! As I opened the big doors to the Mexican restaurant, I jumped all around. I ran straight to the little toy machine. “Mom, can I get one?” I asked. “Not right now Sarah,” Mom told me. The waitress showed us to our table and asked what we wanted to order. All my family members ordered, then it was my turn. “I will have the nachos,” I said. When I was done ordering the waitress left to give the cooks our orders. We waited for a little while before anything came. When all our food came I looked at my plate. There in the corner was a small green pickle. I looked at it for a second and then inched my hand to the plate. I picked up the small pickle and put the whole thing in my mouth. A couple of seconds later my mouth was on fire! It felt like a bomb exploded in my mouth. “That was a spicy pickle,” I panted looking at my mom. She broke out laughing! Then everyone started laughing. “Sarah, I think that was a jalapeno pepper,” Mom laughed. “I thought it was a pickle,” I told her. “Drink some milk. It will help. I don’t know why they would put a jalapeno on a kid’s plate,” Mom told me. So I drank and drank because I would have done anything to get that burn out of my mouth. After drinking a lot of milk, my mouth stopped burning. My family stopped laughing too. Now I know never to eat something you don’t recognize. It is our 34th week of school — just four weeks away from summer vacation. This week is one of my absolute favorites of the year, the celebration of our writers. We have worked all year long create just right stories to be displayed all over our building: lockers, walls, doors and windows. 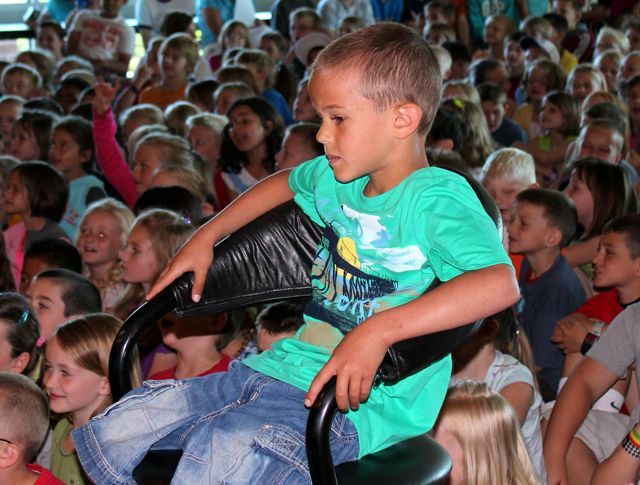 Each grade has a designated time for tours…and all of you are invited! This year, we have integrated art work into our celebration. You will be astounded by the pieces produced by our third graders with the help of Mrs. Brouwer and their teachers. Please come to share this celebration with us. We promise you will be amazed by our writing. 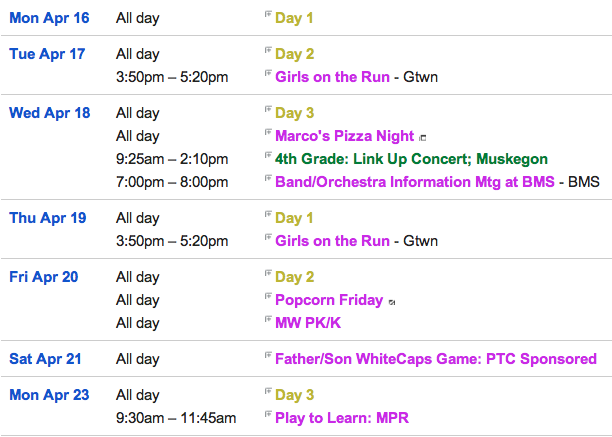 We also have field trips, Marco’s Pizza Night and the PTC Mother/Daughter event this week too! I would like to extend warm wishes for a happy Mother’s Day to all the wonderful care givers of children and all things family. I hope you have a wonderful day and get celebrated for all you do for those you love. We’re adding a new twist to Georgetown’s 2012 Just Write Week – art AND writing! Just Write is a huge celebration of our year long work in writing, with student and staff stories covering every bit of space in our hallways and classrooms. 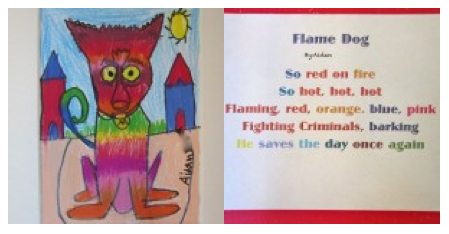 This year, we’re featuring artwork and poems in our multi-purpose room the week of May 14-18. Oh how we love that Mrs. Brouwer…an amazing Art Teacher who loves to integrate art and curriculum! Third grade artists created a piece of artwork and then wrote awesome poems about their art pieces. Our art and writing inspiration is Louisiana artist George Rodrigue and his famous “Blue Dog” series. Read and see more here! Wow! Not only is it week 30 of the 2011-12 school year, we also have just 8 weeks remaining! To help us get ready to wrap up this school year and prepare for another, be sure to respond to the Parent Survey for class lists (grades PK-4). If you have a 5th grader, there is not need to complete this survey because your child will be heading onto Baldwin Middle School next year. This survey will be open until May 1. We are also preparing for our annual JUST WRITE Celebration. This will be the week of May 14-18. We have T-Shirts available for writers to wear on their special celebration day–and we encourage them to have their classmates sign the shirts. Order forms for this can be found on our JUST WRITE is COMING post. Of course, there are many other events coming up. Please pay careful attention to the school calendar and your child’s class blog. Watch for field trips, field days, celebrations of all kinds and details about the final day of school (June 8 – dismissal at 1 pm.). We are busily preparing for our big writing celebration at Georgetown. The celebration will take place the week of May 14-18, 2012. This is a huge celebration of our year long work in writing with student and staff stories covering every bit of space in our hallways and classrooms. Each class will have a special day to showcase their writing. 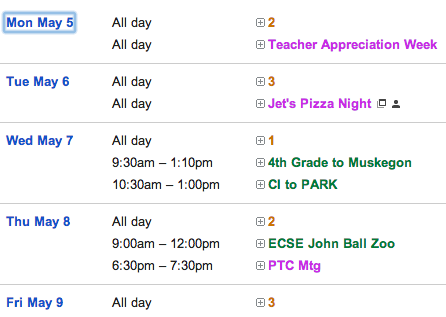 Specific days for each grade will be coming to you soon. 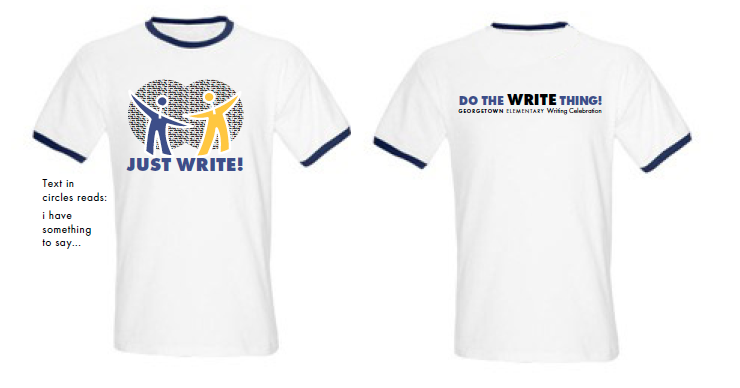 Many children like to wear our special JUST WRITE shirt for this celebration. If you would like to get one for your child, the cost is $15.00. An order form can be printed off and sent in from the blog (link below). Paper order forms will arrive home this week for all youngest and only building reps. 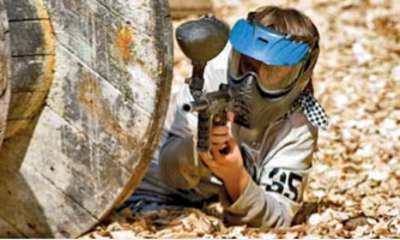 Remember Spencer’s Paint Ball Story? During our 2011 JUST WRITE Celebration, Spencer Alexander’s story was featured as one worth performing by a group of skilled teacher performers. 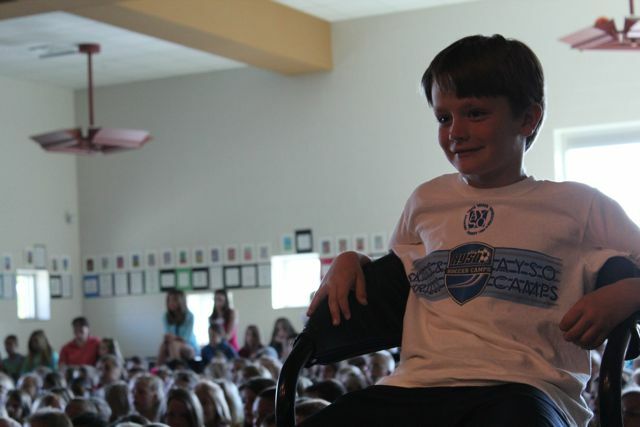 Spencer’s story also made the Spring Hill Camp website…worthy of a celebration camp style! Georgetown writers are already working on their stories for the 2012 JUST WRITE Celebration! Mark your calendars for the week of May 14.